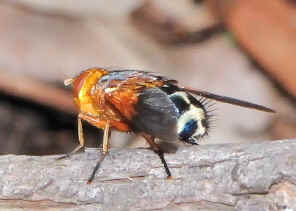 Golden Tachinid Fly II - Microtropesa sp. 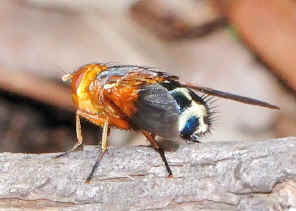 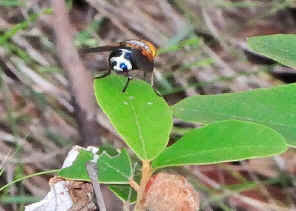 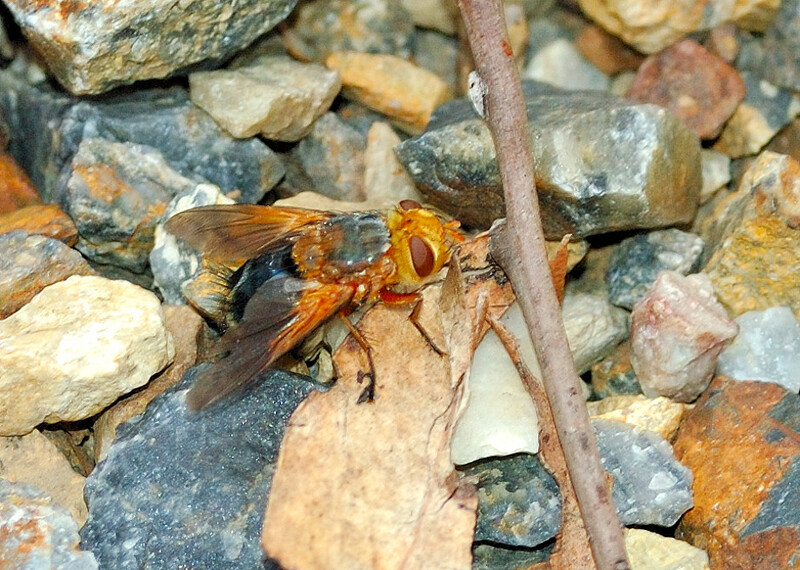 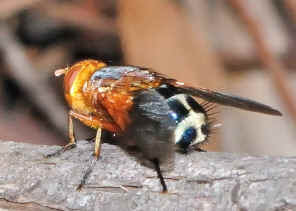 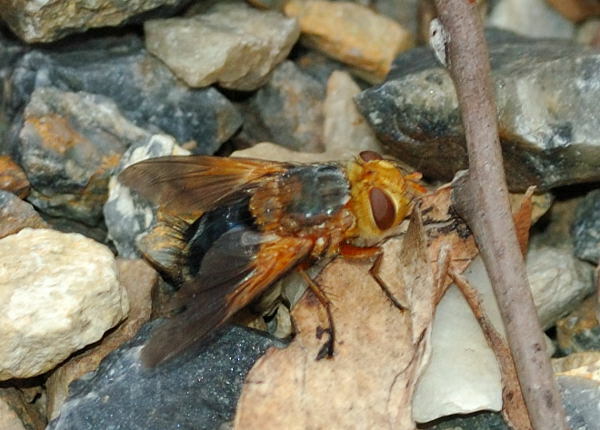 This page contains pictures and information about Golden Tachinid Fly that we found in the Brisbane area, Queensland, Australia. 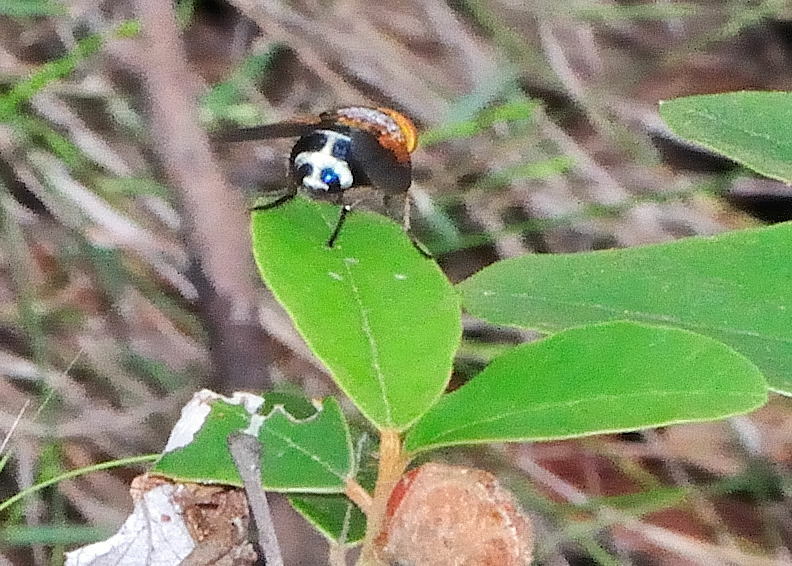 This fly has smoky brown and yellow wings. Last updated: February 16, 2011.